Our brownies are a delicious cake to attract discerning sophisticates with an interest in a gluten free and vegan diet. Suitable for serving as part of the ultimate English tea time or snacking time. This pack of 6 brownies is an indulgent gift for anyone. Shelf Life - Average 10 days at room temperature. 14 days at chilled temperature. Suitable for freezing for 3 months. Produced in the Incredible Bakery in Warkton, Northamptonshire that does not use any of the 14 common food allergens defined by EC Regulations. 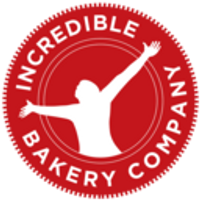 All Incredible Bakery products are gluten free, dairy free, egg free, soya free and vegan. Ingredients: White rice flour, Brown Rice Flour, Tapioca Starch, Corn Starch, Gram Flour, Buckwheat Flour, Cocoa, Corn Flour, Organic Couverture Chocolate Chips 12% (cocoa butter, cocoa mass, Sugar, Rice Powder, sunflower lecithin, natural flavouring), Stabiliser: Xanthan Gum, Unrefined Sugar, Banana, Vanilla Extract, Water, Cold Pressed Rapeseed Oil, Soda Bicarbonate. Couverture is a very high grade chocolate with more than 40% cocoa butter content.